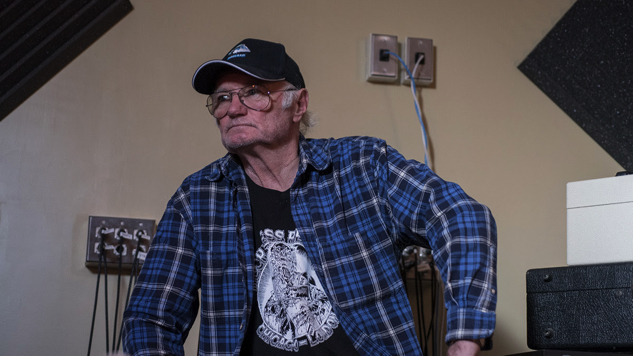 Daily Dose: Michael Chapman feat. Bridget St. John, "After All This Time"
When it comes to Michael Chapman’s discography, the word “prolific” doesn’t even begin to cover it. The 77-year-old British songwriter and guitarist has released something like 50 albums in his 52-year career, and he’s preparing to release another, True North, on Feb. 8 via Paradise Of Bachelors. That’s a boggling number, but Chapman has always found new topics to write about as he’s aged. On the second single from True North, “After All This Time,” the subject at hand is ruinous love, examined from a wizened perspective. Fellow English folkster Bridget St. John joins Chapman on the song, which you can listen to down below. “After All This Time,” which also features Steve Gunn adding another guitar to Chapman’s, is devastating if you listen closely. In songs about relationships, you rarely hear tales of falling out of love, but Chapman ruminates on that very phenomenon as ambient guitars infiltrate the dreary yet composed mood: “Which can cause the distance between two people, once so close?” St. John’s gritty charms pair well with Chapman’s, and a brief solo by Sarah Smout adds even more depth to the tune. In yet another layer, renowned pedal steel guitarist BJ Cole flexes and the whole thing glows like a weepy country song. The track follows previously released single “It’s Too Late,” while True North is a follow-up to 2017’s 50. Again, you can listen to Michael Chapman’s “After All This Time” below. Further down, hear his 2011 Daytrotter Session.